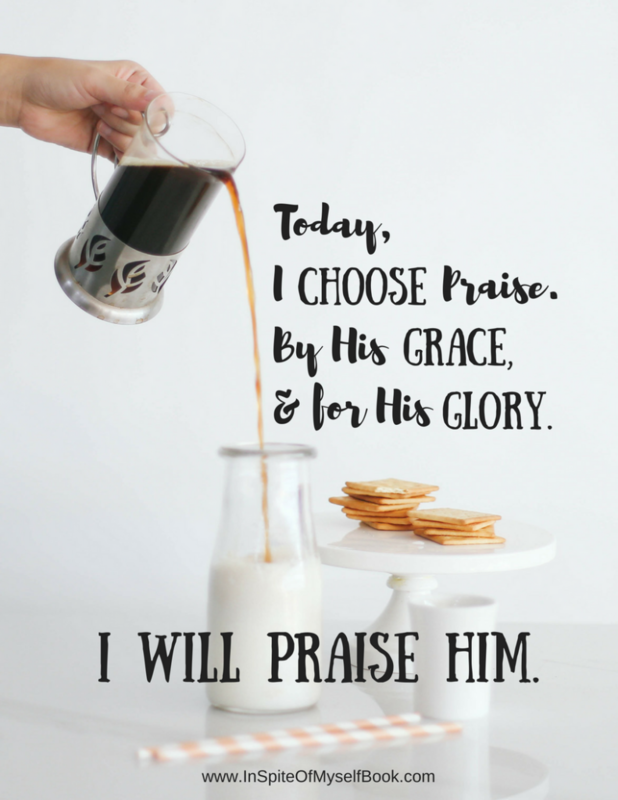 In Spite of Myself – Join the #IChoosePraise Movement! While these sayings may or may not be true, Katie Hornor has had at least one crisis in each of those three areas. And as she's learned to praise the Lord for his goodness both in and out of the storms, she's began to see a pattern. Praise, Healing and Hope. Regardless of your story, There is only One who can heal your heart, teach you to praise and transform your heart and home. You will find Him, and the power of his Truth presented in every page of this riveting 4-week Bible study based on her popular e-course Intentional Praise: The Key to a Happy Home. Over the last several months I've had email after email from friends and readers who have been touched and transformed by the Truths shared in the e-course. 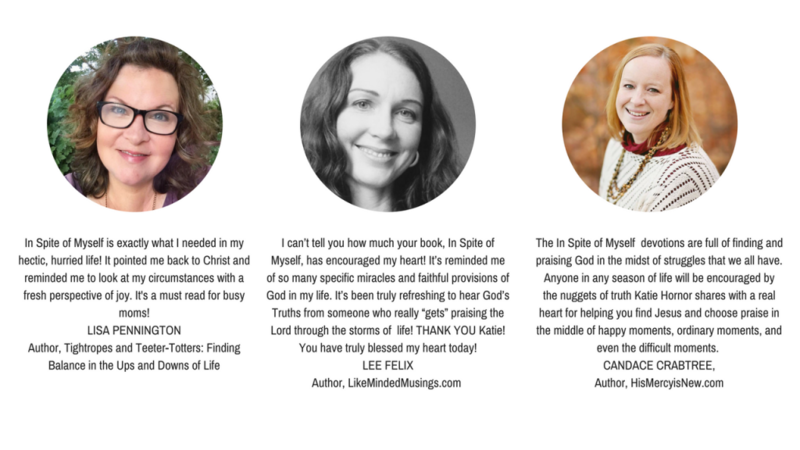 In Spite of Myself is a deeper dive to help your heart take every thought captive, help your thinking take an upward swing and ultimately help your attitudes, heart and home be transformed! Add your name and email below to get this beautiful printable reminder to praise. Join the movement. You also get news of all our events leading up to the In Spite of Myself book study starting Nov. 27th!